California ex-pat Michael Greco has lived in Asia for over 25 years, and his stories are dappled with the character and spirit of Asian communities. He teaches writing in university and has jotted extensively about the joy and frustration of the creative process. He has written for the Asahi Shinbun newspaper in Tokyo, and received his master’s degree in theoretical linguistics, in Los Angeles. 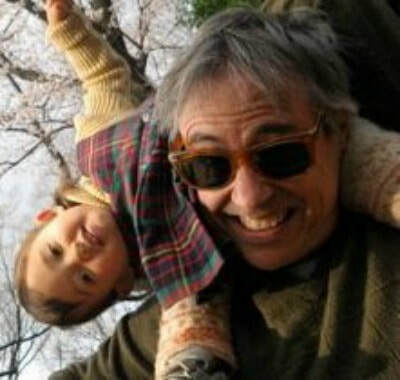 He is a regular contributor to The Japan Times and online journal The Font. Michael lives in Kyoto, Japan, with his wife, daughter, and a honey-sweet cat named Howard. He uses Japan as a springboard for his frequent forays to other regions of the world, often with his 10-year-old as a travel companion. The princess. The liar. The thief. The bully. The wuss. Five troubled teens from all over the globe, plus their inexperienced driver and elderly chaperone, have unexpectedly been stranded in the exotic-bizarre rainforest world of Borneo. It was supposed to be a year-end leadership seminar. It was supposed to help them grow, their minds expanded by the stunning landscape and the exotic wildlife. In reality? Not even close. Lost and separated in an uncaring rain forest with flying snakes, abusive primates, and marauding jungle life, it's an unremarkable little bird—a cuckoo shrike—that seems to be calling all the shots. 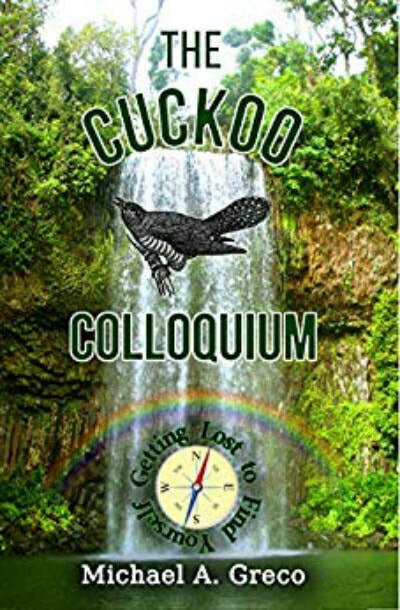 Each member of the Cuckoo Colloquium is forced to face their own unique challenges, both savage and fantastic, or die trying. Because as it turns out, the jungle has no intention of letting them go. Small-time Arizona filmmaker Jerome Doggman (aka Dogg) is dying. Technically, he’s being murdered because he stumbled into nefarious business. But Dogg’s purpose on earth is not done. He’s reincarnated into the body of a sixteen-year-old boy, Abraham, from a fundamentalist religious sect and who has been in a coma for the past eight years. Vehemently anti-religious in his previous existence, Dogg must now endure life as the subject of his own contempt. While Dogg’s elusive memories of his unruly former life slowly return, Abraham’s behavior leads the men who killed him the first time to suspect that Dogg isn’t really dead. With his killers closing in, the pieces of the puzzle pull together in an illuminating conclusion that reveals the reason for his reincarnation. 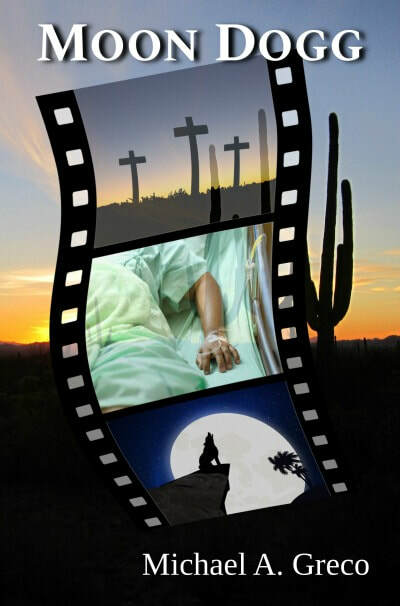 Bursting with humor and elements of the supernatural, Moon Dog is set along the Ajo Highway that runs through the Tohono O’odham Indian Nation of southern Arizona and takes you on a mystical journey you won’t soon forget. In Japan, the little inn called Happy House welcomes its guests—unless it’s rainy season. When the plum rains arrive, trying times of volatility and decadence begin for everyone. The house awakens. Now it must eat. One enterprising resident, the American in Room #1, is determined to turn the derelict Happy House into a prosperous English language school—despite the plum rains. He is thwarted at every turn, however, by a freakish creature from under the floorboards called the Crat. Thirteen Americans volunteer for a three-month project to recreate America's early colonial experience for a worldwide on-line audience. The colonists have been deceived. They don't know their ordeal has been gradually, brutally, altered by their organizers, and a genuine struggle for food, shelter, and survival turns deadly as an Arctic winter approaches. A freak hurricane strikes a small island community off Texas, and a ravaging possession devastates the region, then conquers the world. 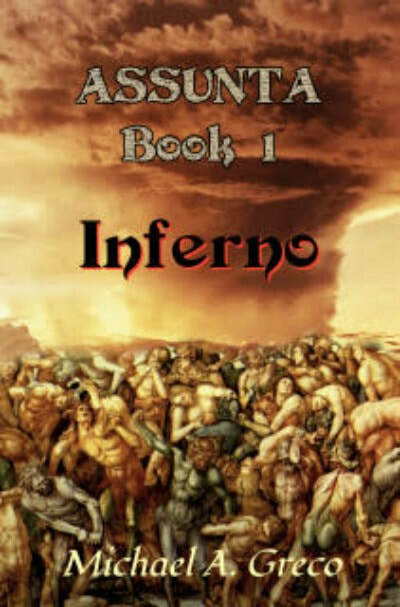 In Book 1, Inferno, virologist Dan Heritage, one of the many stricken by Assunta’s debilitating spells, struggles to understand what it is and why it has come. In the footsteps of The Divine Comedy, Dante Alighieri’s poetic tale of eight hundred years past, readers take a twenty-first century journey as science squares off against spirituality. Dan must question the creed of his disciplined training and everything he believes to embrace the strange new mysticism that Assunta offers. He journeys far yet never leaves his small home island of Paradise, Texas in a quest to save the souls of those closest to him in a forceful story of love, depravity, companionship and slaughter, which takes an inventive new look on one of the oldest works of civilization, and with a timeless theme – the redemption of humankind.